Mineral-spring resorts were all the rage for the rich and famous in the eastern U.S. in the 1800s, and the iridescent waters at Blue Sulphur Springs, in Greenbrier County, were no less famous than those of their extant counterparts, such as those at The Greenbrier in nearby White Sulphur Springs, West Virginia, and The Homestead, in Hot Springs, Virginia. Thousands once visited the Blue, though it was fated to enjoy less fame. Its pavilion is all that remains to tell the tale. 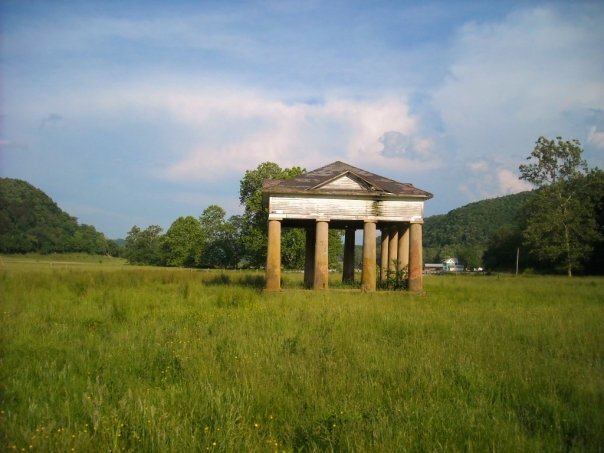 The Greek Revival pavilion at Blue Sulphur Springs is in many respects a fraternal twin of the pavilion at White Sulphur Springs, though the latter is rounded, the former, squared. A 32-foot high square structure, its monumental hip-roof is supported by 12 Doric columns and protects a marble basin which fills with spring water. 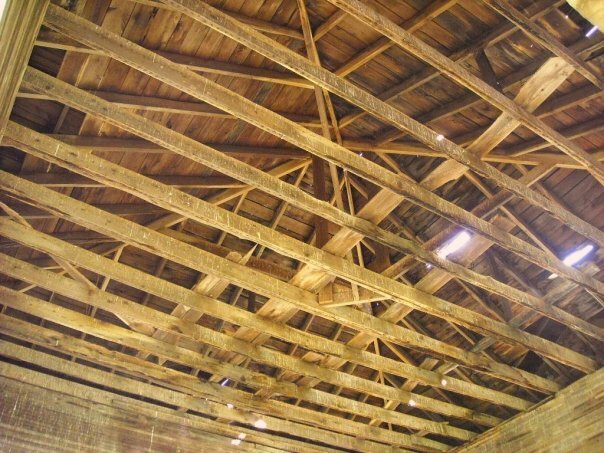 The pavilion was the focal point of a 200-room resort built by George Washington Buster in 1834 and which attracted many notable guests, including Andrew Jackson, Martin Van Buren, Robert E. Lee, Henry Clay, and Jerome Bonaparte. Resort physician Dr. Alexis Martin opened the nation’s first curative mud baths here, but competition from The Greenbrier and an antebellum economic downturn caused the resort to close in 1858. Briefly it was used by the Baptists of Virginia as a ministerial college. 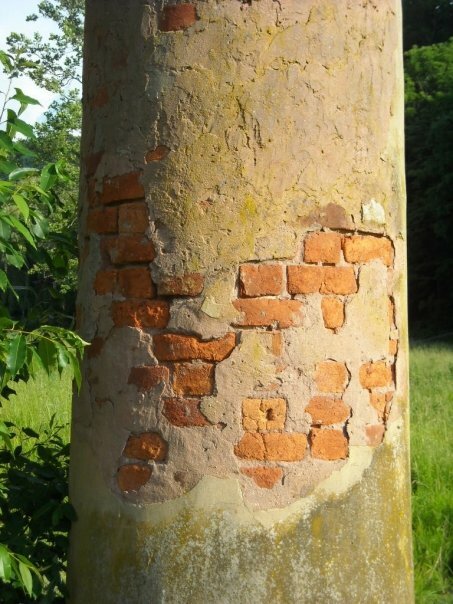 When the Civil War broke out, the resort facilities were used by both Confederate and Union forces, and it was intentionally burned to the ground by the Army in the last years of the conflict. Only the pavilion survived. 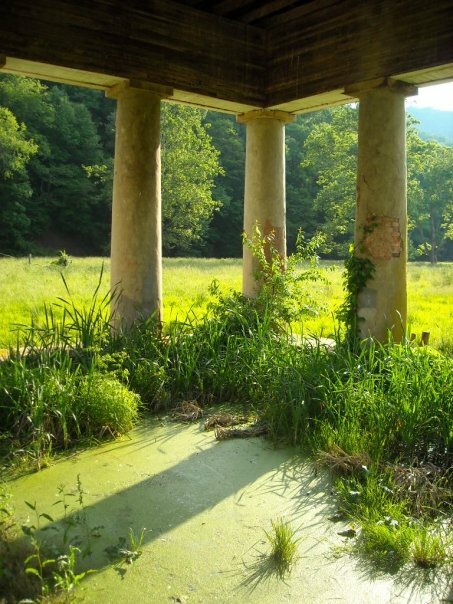 In 2013 the Blue Sulphur Springs Pavilion was placed on the Preservation Alliance of West Virginia’s Endangered Properties List, however, an alliance of concerned investors in 2014 purchased the property and embarked on a rescue and rehabilitation effort.